Can Ginger Soothe My Upset Stomach? While there are many causes of digestive upset, ginger has been clinically shown to aid in reducing many of the most common symptoms. How Can I Get More Ginger into My Diet? Ginger root itself can be used in many ways. Try blending a small piece of raw, peeled ginger into smoothies, juices, dips, and salad dressings to give your recipe a sweet and spicy kick. Ginger can also liven up seasonal recipes, particularly drinks and desserts. Try adding a few pieces to hot cocoa or pies for a wonderful, warming flavor. Add pieces of ginger to a pot of boiling water to create a potent, healing tea that can be served hot or cold. Sweet ginger tea can be used as a base for other herbal teas, and ginger water is great in smoothies and juices. For quick relief of stomach discomfort, try sipping a cold glass of ginger tea. Add a slice of lemon to the tea, too – ginger and lemon pair quite well together. The essential oil of ginger can be used aromatically by diffusing the oil either by itself, or in a blend with other favorite scents. Alternatively, you can stimulate the olfactory nerve (sensory nerve in the nose) topically by adding 10-15 drops of ginger essential oil to a carrier oil like olive oil or jojoba seed. Enjoy relaxing aromatherapy benefits. Ginger can be found in pill and powder form for easy storage, transport, and usage as a supplement. To use ginger supplements for stomach upset, you can blend the powder into juices, smoothies, hot cereals, and more. No time to mix things up? Pop a ginger pill or capsule to quickly unlock powerful stomach-soothing relief. Ginger is one of the most effective ways to prevent stomach upset from a variety of causes. 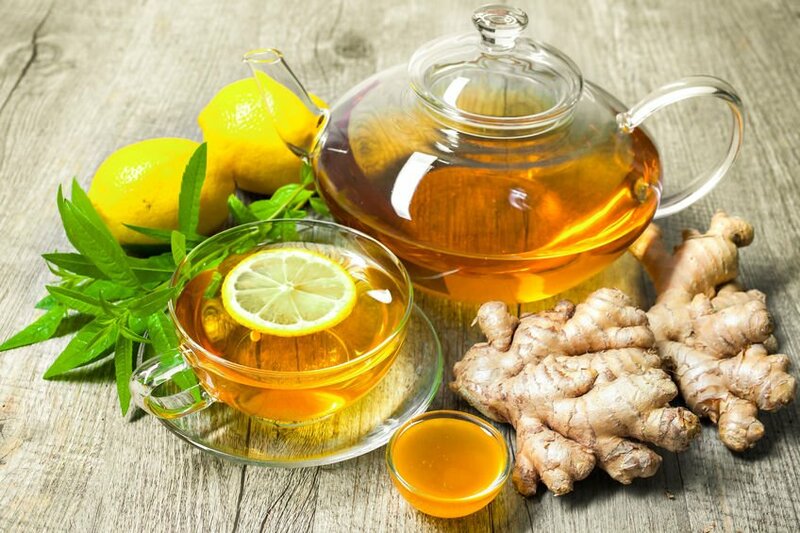 If you are suffering with any type of stomach problem, including pain, cramping, nausea, motion sickness, and other ailments, give ginger a try. 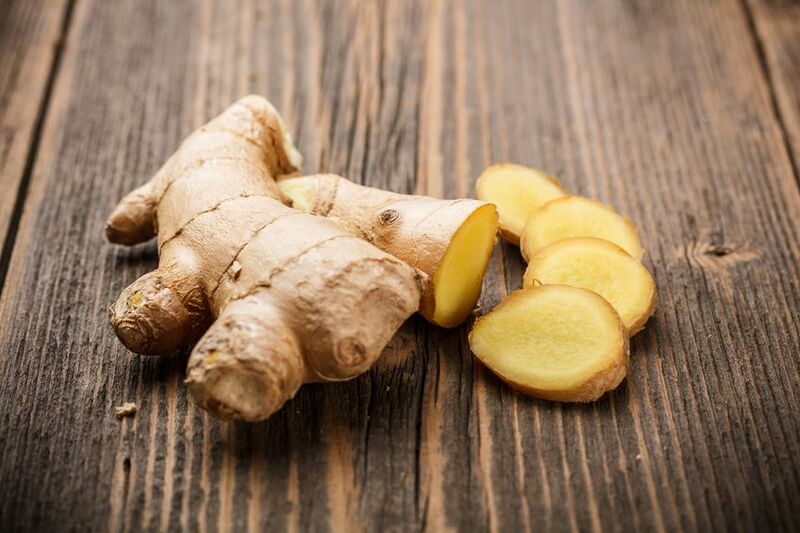 Known to offer dramatic beneficial effects to the digestive system, the warm, slightly spicy flavor of ginger may help to ease your tummy troubles naturally. However, if the problem persists, you may need to speak with your doctor, as it could be the sign of something more serious. 1. McNeil. NSAID. FDA. 2 Assessment of Safety of aspirin and other Nonsteroidal Anti-Inflammatory Drugs (NSAIDs). 2. Micklefield GH, Redeker Y. Effects of ginger on gastroduodenal motility. Int J Clin Pharmacol Ther. 1999 Jul;37(7):341-6. 3. Effectiveness And Safety Of Ginger In The Treatment Of Pregnancy-induced Nausea And Vomiting. 4. Digestive Diseases Statistics for the United States. National Institute of Diabetes and Digestive and Kidney Diseases. U.S. Department of Health and Human Services. 5. U.S. National Library of Medicine. Digestive Diseases Also called: Gastrointestinal diseases. 6. Ann M. Bode, Zigang Dong. Chapter 7 The Amazing and Mighty Ginger. Herbal Medicine: Biomolecular and Clinical Aspects. 2nd edition. 7. Nafiseh Shokri Mashhadi, Reza Ghiasvand. Anti-Oxidative and Anti-Inflammatory Effects of Ginger in Health and Physical Activity: Review of Current Evidence. Int J Prev Med. 2013 Apr; 4(Suppl 1): S36–S42. 9. Lien HC, Sun WM. Effects of ginger on motion sickness and gastric slow-wave dysrhythmias induced by circular vection. Am J Physiol Gastrointest Liver Physiol. 2003 Mar;284(3):G481-9. 10. Ernst E, Pittler MH. Efficacy of ginger for nausea and vomiting: a systematic review of randomized clinical trials. Br J Anaesth. 2000 Mar;84(3):367-71. 11. Sripramote M, Lekhyananda N A randomized comparison of ginger and vitamin B6 in the treatment of nausea and vomiting of pregnancy . J Med Assoc Thai. (2003). 12. Lohsiriwat S, Rukkiat M. Effect of ginger on lower esophageal sphincter pressure. J Med Assoc Thai. 2010 Mar;93(3):366-72. 13. Hu ML, Rayner CK. Effect of ginger on gastric motility and symptoms of functional dyspepsia. World J Gastroenterol. 2011 Jan 7;17(1):105-10.